I would like to start this article saying: Quechevere! “… See you next time, please come soon with your family, thanks to share these moments, we are going to miss you a lot, we learned a lot, thanks”…. ; when they said good bye, when the tears appear and you try to disguise tightening your teeth. 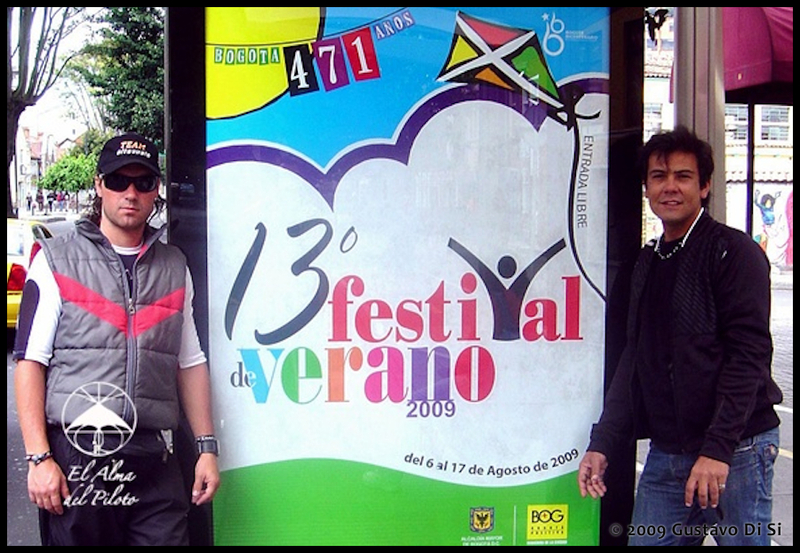 The Summer Festival in Bogota is the most important party related with free time in Colombia, meeting people at Simon Bolivar Park. This year held from August 6 to 17 that included a set of activities such as: concerts, tropical music, thematic nights, traditional dances, parades and on Sunday 9 “The International Kite Festival”. Friends, I would try to share my experiences with you, telling what happened with our new friends. 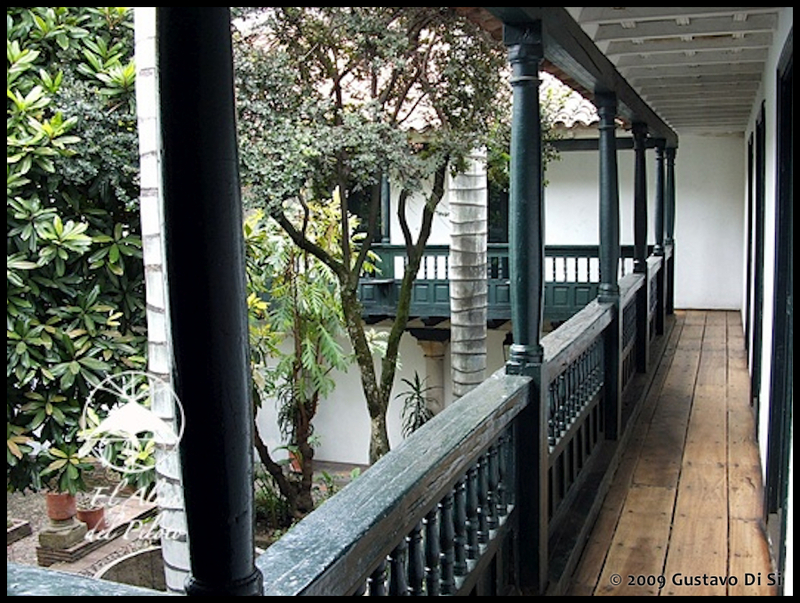 On August 6, I depart from Buenos Aires to Bogota scaling Lima, the travel was comfortable and relaxing. I arrived at Colombia DC near to 2 p.m. 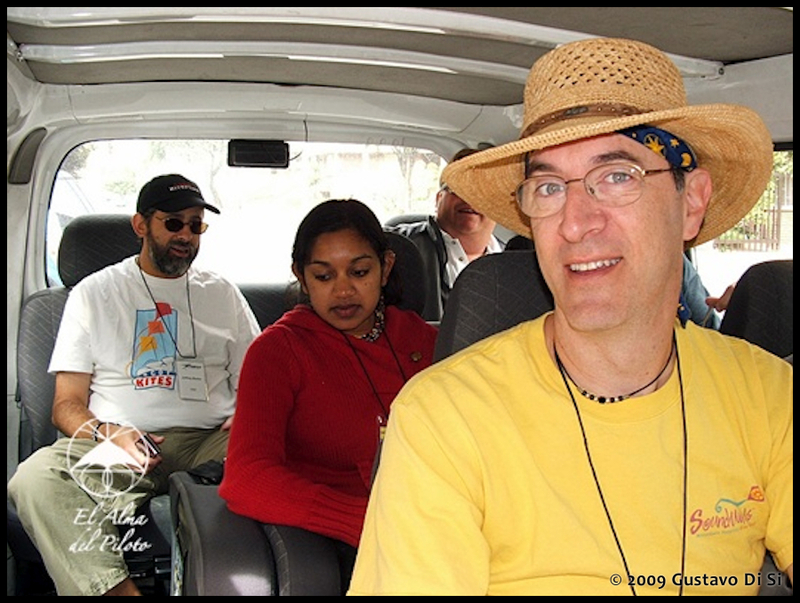 The organizers were there to pick up me to the Hotel and I knew there Mr. Jeffrey Burka from Washington, who was one of the delegates from Gomberg Kites. 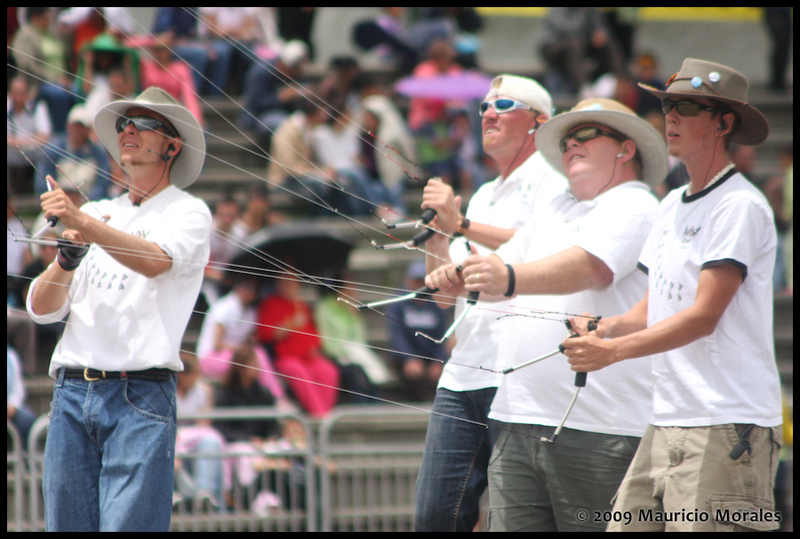 … Jeffrey and I read it and… Guys…, if you accept the Mission you can enjoy the kite fly magic at 2,600 meters height. Since 2007 had not seen John and this was a good moment to greeting him; and a warm Hello! came from their team, too. 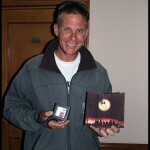 My friend Claris Skoczdopole from Argentina had sent to John and Takako a present that I gave him in that moment. 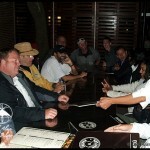 After that, all the guests met at the Hotel´s lobby …Deepani Jinadasa, Michael Wadson, Jim Martin, Glenn Davison, and Jeffrey Burka. Later Atemoc Team said: Hi to everybody! Welcome! Come on people we are going to share dinner together. Typical meals, excellent beer, many jokes, laughter in group, that was the best way to create a very particular atmosphere. After that, we went to a bar to drink and listen some music. After a couple of our some of the kite mates and I were exhausted and we went to sleep at the Hotel, others continued on their funny way. Friday, we get up early to enjoy a City Tour. We could admire the city, its constructions, streets, landscapes, we could see the DC from mountains height, walked along the historical place, we visited the “20 de Julio” Museum where Jeffrey, Wadson and I simulated as we were wax collection pieces, that generated the laughter of the visitors. 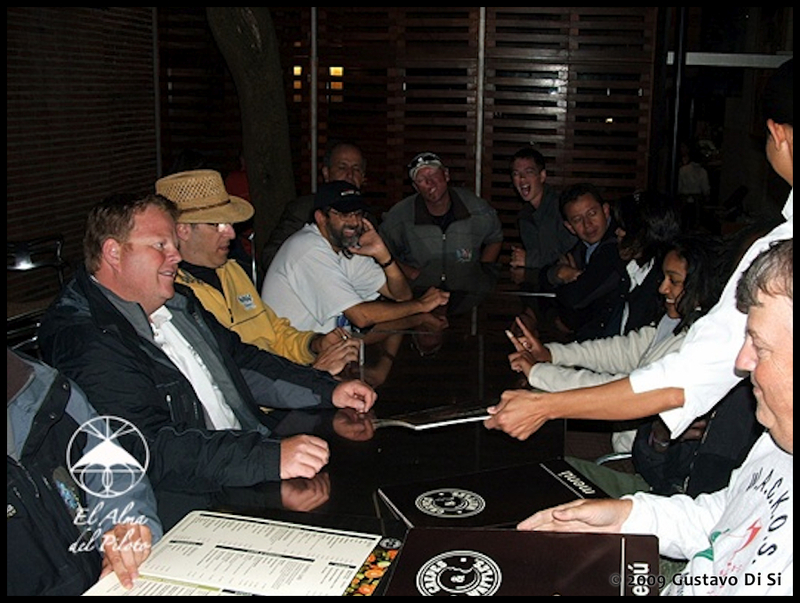 We eat lunch at a typical restaurant; we shared unforgettable moments when Wadson display his skills like a Magician. Bogota is 471 years old and a very particular city. It has colonial and modern houses, buildings, clean and paved streets, and vendor’s sale offering typical food and drinks in the street. People are very friendly, expressive, plane and well educated who walk within Caribbean rhythms, beautiful women, frenetic traffic which it circulates at high speed and you have be careful when crossing the streets… You can find bogotanians bakers that circulate around the footpath. Its climate is unpredictable, changes quickly, can be sunny and right away rainy, windy and right away it calms, in fact very varied. We were taking pictures all the time in order to catch images, the beauty landscapes and people expressions. At the afternoon we had a short rest at the hotel before the official Festival meeting. 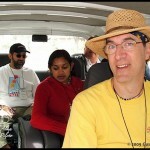 …Ok, here we are again on the rod going to Germán Rodríguez and Carolina Tirado property (Tsaphon Club members). I was surprised by the amount of local pilots who were arriving with their banners, flags, and kites. “iQuad” also took its kites equipment to get the opportunity to fly. In fact the possibilities always exist, just only you have to wait for the occasion. 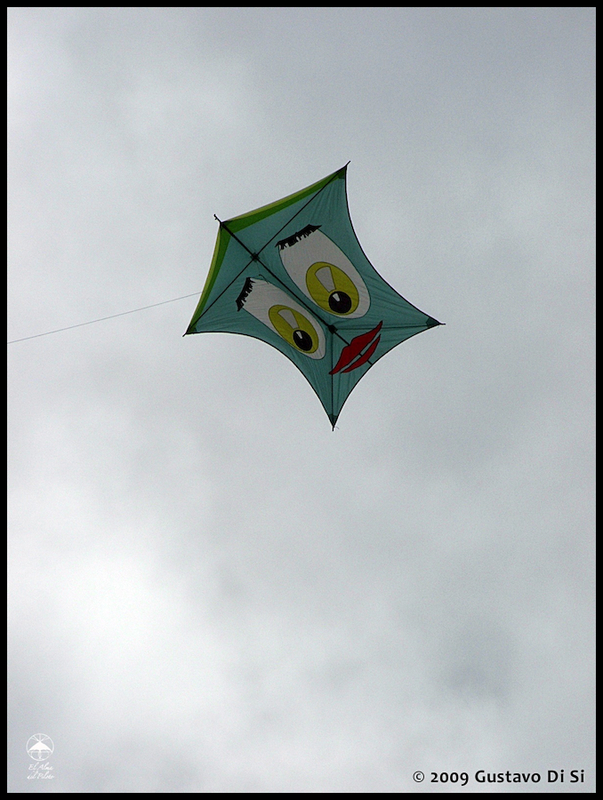 People took photos, signed kites; then a light wind breeze began to blow and “iQuad” flew its Revos. 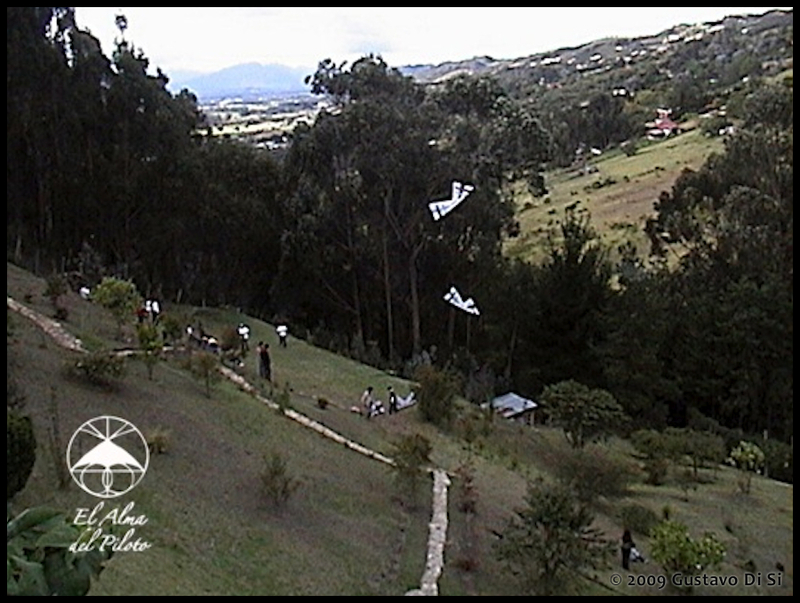 Soon some local pilots added with their machines painting Bogota’s sky. 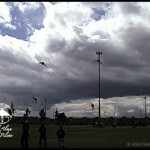 That was the same language, the understanding, the common denominator: “kites”. After that the speakers showed us his bilingual skills and tried to do a formal presentation of local and guests pilots. But it was not very formal, because all the pilots continued joking, laughing and applauding the inauguration. … We continue listened to the music, we interchanged gifts, we shared affection attitudes, we dance and we were given us more energy eating the delicious “Lechona” with some drinks. In fact kites were the reason of this meeting and we started speaking about Kites, but after chatting you can discover a “new skill” inside each pilot. You can find different from Magician to Mentalist, from dancers to instrument players. Do you want to know about “Mr. Beto´s” skill? I would like to emphasize that he is Amazing! It was an interesting story because “Mr. Beto” does not speak English. Look, his kite mates told me that, “Beto” bought its harmonica from USA; so the instructions were in English. Their kite mates translated the instructions for him of how to play the harmonic while they flew kites together. Therefore at the beginning, his kite mates heard only a noise…So sometimes they flew kites and sometimes they have heard harmonic the noise. Soon, Leonardo Caicedo the Atemoc´s Mentalist hypnotized the audience with his skills… His kite mates told me that Leonardo apply the same method to trainee Atemoc Team… Is it true? On Saturday we woke up early and went to the “Tunal Park” located towards the south of the capital. The “Tunal Park” was built at the beginning of 1970; remodeled during 80 and extending his benefits having football stadium, tennis courts, squash, basketball, bike cross, bike path, skating, library, and so forth. That Saturday was a sunny day, good smooth wind but quite irregular blowing from the same quadrant sometimes slow, moderate and strong. We assemble tents, banners, flags and kites. 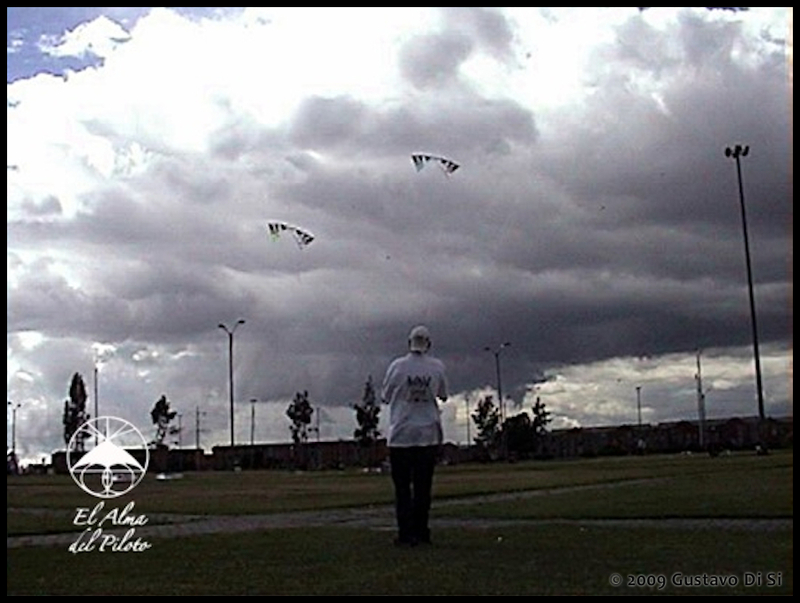 Our Atemoc friends organized this Pre – Festival in order to trainee pilots to the wind and height condition, because they knew that on Sunday at Simon Bolivar Park the wind would be more challenging, mainly, for those who we attended the Festival for the first time. Soon the Giant kites, flat and 3D kites, were flying at the main arena. 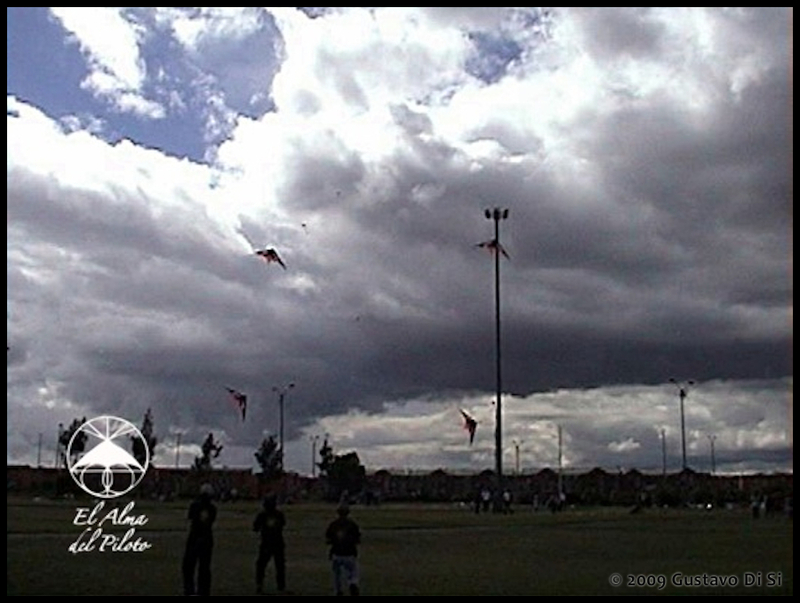 After that, my display of Multiple Kite, later Revolution individual demonstrations and Multiple Flight Revolution by Steve De Rooy, then Freestyle by Rodrigo and Willy; after that Multiple Kites two duals with Rafael Suarez Pinzon from Colombia, then Colombian Teams dually, Blue Angels pares, and at the end Mega Team. 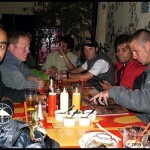 The wind blew very variable all the time, despite that it was a great time of camaraderie. Quechevere! I would like to share with you some pilot’s opinions, mainly those who visited Colombia and South America for the first time. My “Alto VueloTeam” friends, Guillermo Borsani and Rodrigo Posada, arrived on Saturday at the evening. These excellent Argentine pilots flew his freestyle routines individual and pares, despite of winds conditions. The audience recognized the effort with spontaneous applauses. 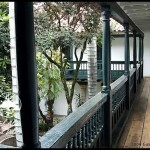 It was the first time that they visited Colombia and they was astonished by the Bogotanians hospitality. Deepani is from Siri Lanka, in its Country has one festival in the year, where flying many kites. At the moment she lives in Boston; she make and flies his kites at the beach. She loves Freestyle that has started practice recently. She thinks that this festival is very beautiful because she could shares the flight with others. She said: “…People are pretty, I feel very happy to attend this festival because Colombian people are very open – minded and nice, and I feel in family”. Is the first time that visits this Country and South America. She is amazed by the variety of kites, as well as the skills and pilot’s effort. She brought its flag that represents its town as union of different cultures. Its work is for Africa helping people in health and development. When she lived there, she saw that nobody flew kites. Then, she acted on her own and started to teach how to make kites and how to fly it. …”People are very poor and they need help”… She told me. Deepani has traveled all over the world and she seen that kites are a common language that joins towns and cultures. 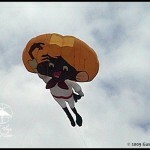 He is from Haiti, and makes and flies his own kites. He loves Colombia, people are very friendly, and he feels like in his house, he is very happy to represent its country. It is the first time that visits Colombia and South America. 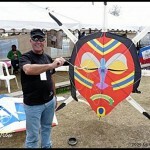 In Haiti there are different kite designs. In particular the Giant kites make much noise. 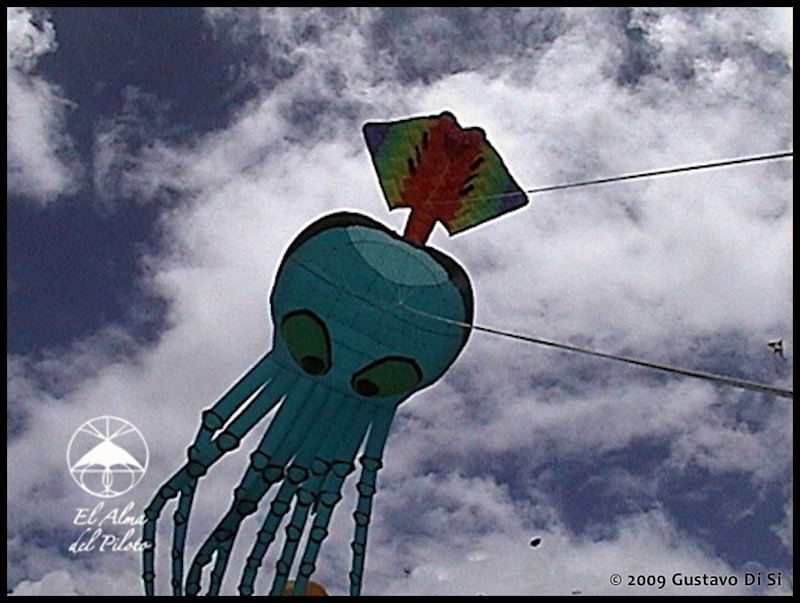 Wadson also told me: “… Kite is the way to join different cultures and ideologies flying in friendship and community, putting down the political differences”. Wadson thinks that if everybody fights with kites there would not have been wars in the world”…! Wow! Glenn is from Boston and flies all kind of kites (one, two, four lines; fighter kites and mini) that make it self. It has attended to several International Festivals and this is the first time that visits Colombia and South America. People are very friendly, amazing like food and Country. He is very impressed by the amount of kite flyers and Clubs. 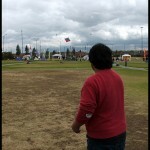 He enjoyed this festival a lot, because of variety and amount of kites. Both are delegates from Gomberg Kitesin the USA, they came and flew Giant inflatable kites like the Shark, the Octopus, the Manta Ray, and other interesting ones. They enjoy this time and they hope to return to Bogota next year. 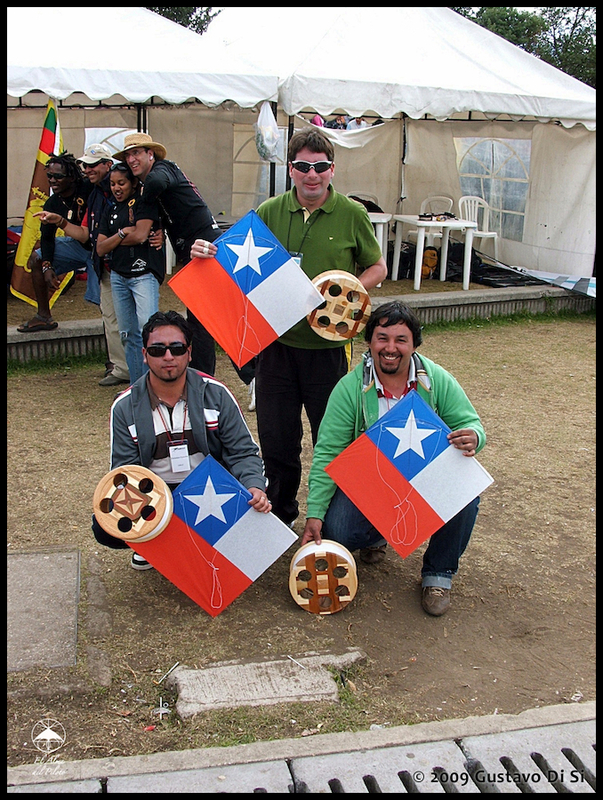 Jonathan González, Christian Concha and Felipe Medina with their fighters kite. Ability, talent, precision, speed, reflections, strategy, action and reaction, those characteristics were displayed by them. In Chile they called “Volantines”. With “Volantines” you can do whatever you want…, in fact only if you have their skills. Have a look at their opinions: It was a great experience, the festival was amazing, Colombian people are affectionate and respectful, Atemoc´s organization was excellent. We could show our Country and culture through our “Volantines”. It was a nice experience for us and could learn different cultures and other kites plays. All the Clubs are join by young people, with enthusiasm and high fly skills. Another important characteristic is that “Colombian’s Feme” participates in Teams and Clubs. The teams are join by 5 people. Four are from Novoa´s family and fifth is Carolina Sanchez Losada. They fly dual line, precision and ballet. Their brand kites are “Arpía” made in Bogotá by Jaime Garzón. 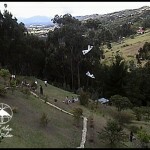 Nowadays they are Champions of Villa de Leyva. They show us their skills in their great demos. It was founded in 2005, by German Rodriguez and Carolina Tirado Rey. Nowadays the Tsaphon members are: Lorena and Nélson Burgos, Michael, Nicholas, David and Andres Márquez, Juan David Murgno and Carlos Mario Vernal – they make and fly their own kites. 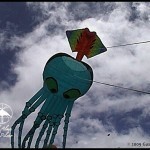 Their main Giant kite is called “Petra” it is a Cobra of 45 meters length. The longest of Latin America… … The legend says that if you approach towards the Cobra in fly you become hypnotized… Will be truth? The main skill of this team is that they always work together and fly all kind of kites. The colors are Blue and Yellow. 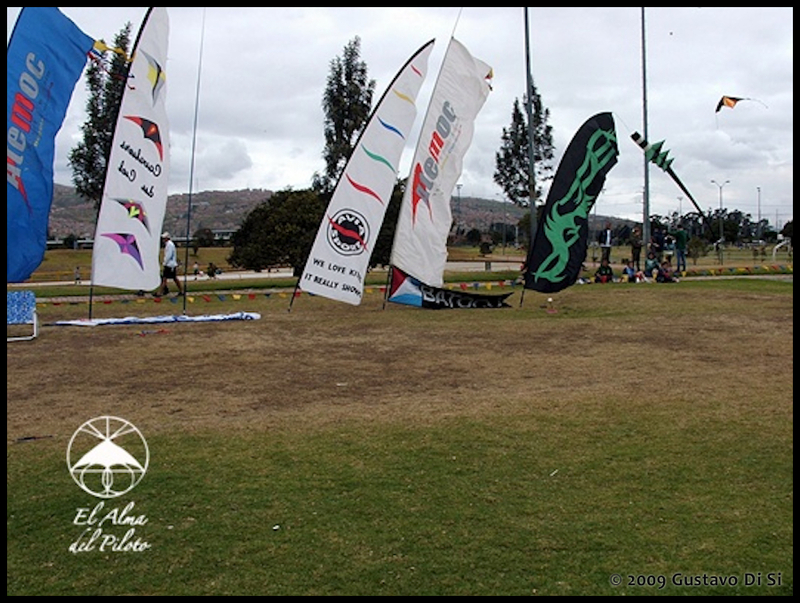 Their objective target is to fly by kite´s love and divulged the sport. 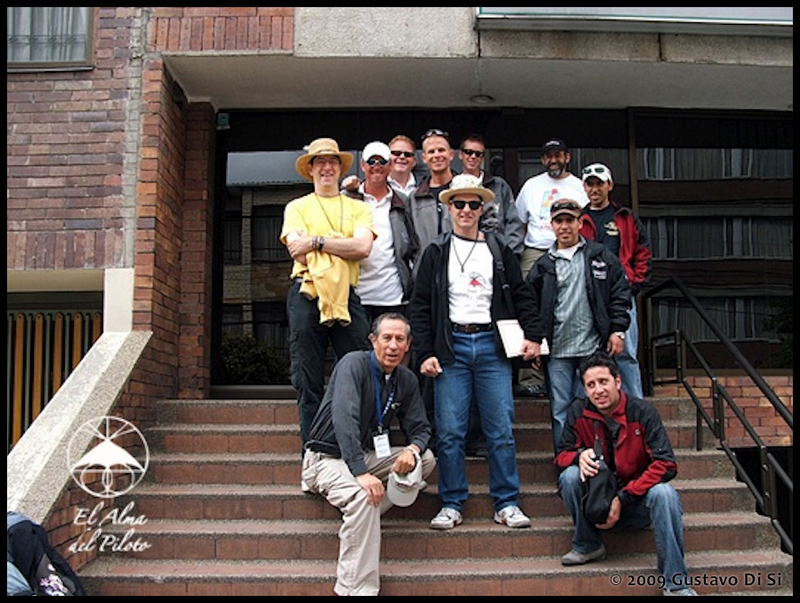 Club 20 Nudos was founded in 2001, today are 10 members – Javier Hernández, Bernardo Cruz, Leidy Álvarez, Carlos Mario Velázquez, Néstor Contreras, Daniel Lasprilla, Cristina Moreno- and they fly all week end. The main skill of the club is making original and replicas kites. An important kite is “The Airplane HK20N”, made in Club’s color which is 14 meters width, 13 meters length and 2.5 meters high. 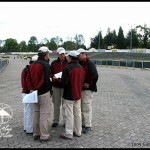 All this guys are members of “Organización Nacional de Cometeros” and participate in the National Championship. 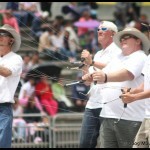 They fly at Bogotá and attend many festivals nation wide. 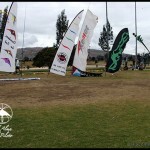 This company is 12 years old and it makes artisan kites to the contests and festivals. Ma´s Cometas Colombianas is a partner of Cometar club and attend special events. The company’s owners are Nubia Tarazona, Fabian Alexander and Leonel Suárez. 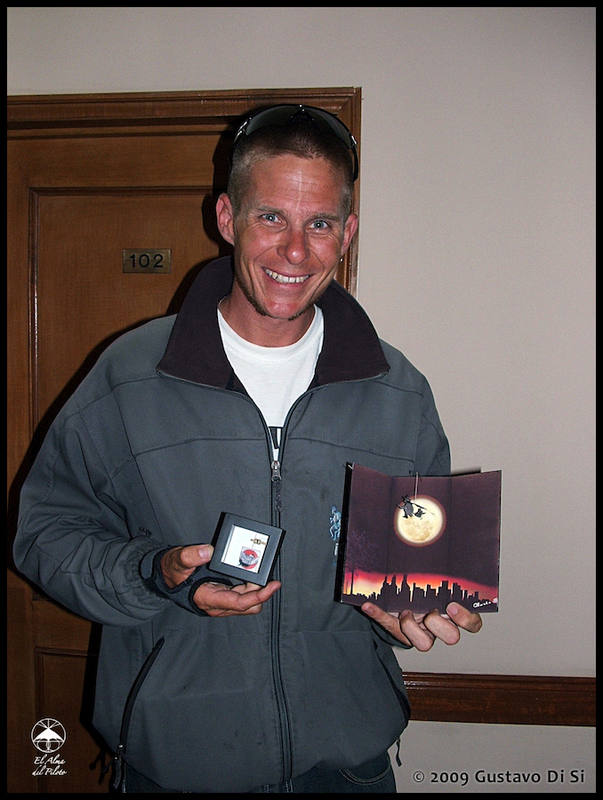 Leonel is the last National Kite Champion 2008 – 2009 and also flies with “Altavoz Team”. 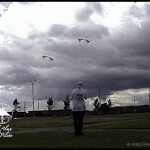 From 22 to 25 of October, Leonel is traveling to France as an Artisan Kite Ambassador of Colombia. It is 10 years old, its idea is to integrate people in kite flying and participate in festivals and local contests. Nowadays they are 16 members which make and fly lot of kites; Kite Buggy, dual lines, quad lines, Freestyle, Indoor and fighter. 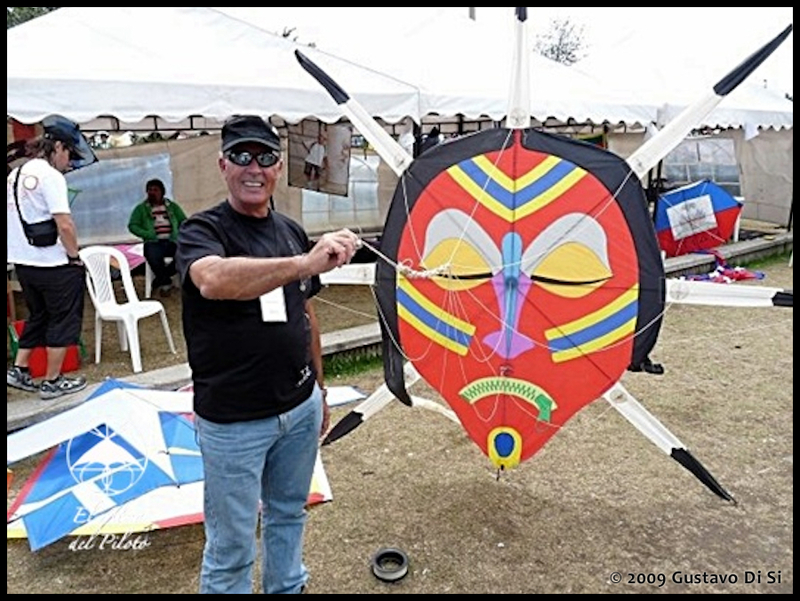 They told me that “Kites are their Passion”… Their members have experience attended international Festivals in France, India, Chile and so forth. 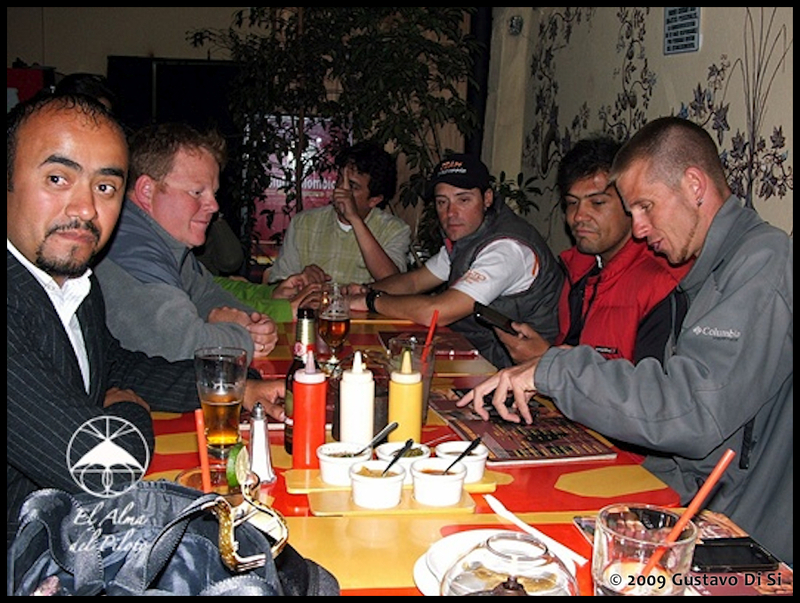 Club Kogui was founded in 1996 by Luis Ruiz, Nilza Riveros, Nicolás Civetta, Leonardo Bermudez and Jorge Beltrán. Nowadays are 20 kite flyers. 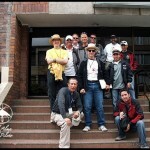 The team Equipo 2600 flies in this club, and are join by Andres Bolivar, German Rojas, Nilza Riveros y Jorge Beltran. 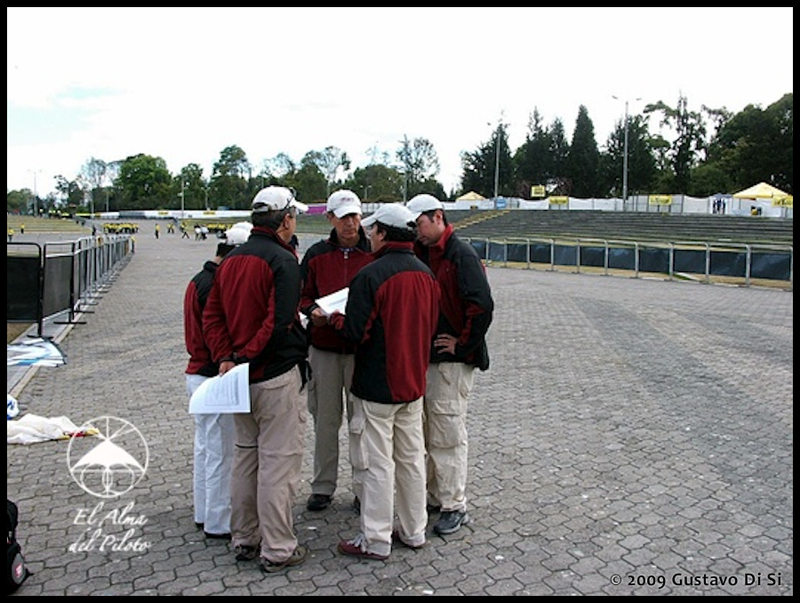 Since 1998 the Team´s name came from the Bogota´s altitude – 2600 meters above the sea level – This team has great experience on International displays and competition. 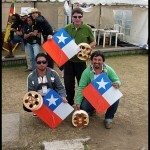 (France and China) They flew on Sunday at Simon Bolivar park flying in team. The Atemoc team is join by German Rosero, Juan David Rosero, Jaime Garzón, Jaime Castro, Leonardo Caicedo, Carlos Andres Hernandez y Raul Garcia. They were the Festival organizers. 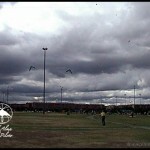 Those guys stand out not only as a team, freestyle and one line kites; also as organizers. They paid attention on each details, help and advice us all the time. They have done their goal!! Congratulations! Represented by Yony Osorio and Luis Chica, they flew Big Solar polyethylene Balloons seals by hot or sticky tape. Bimana attended lot of local and international festivals astonishing to the audience with its products. Other clubs that participated were: Boreas of Medellin; Halcones and Mallku of Bogotá. As you imagine the day does not finish yet…We met again at dinner eating a delicious folk´s meals from our choice. It was the official arena of the “Summer Festival”. The park was built in 1968; has 400 hectares of recreational green spaces that contains a lake. It’s known like “Parque del Liberator”. 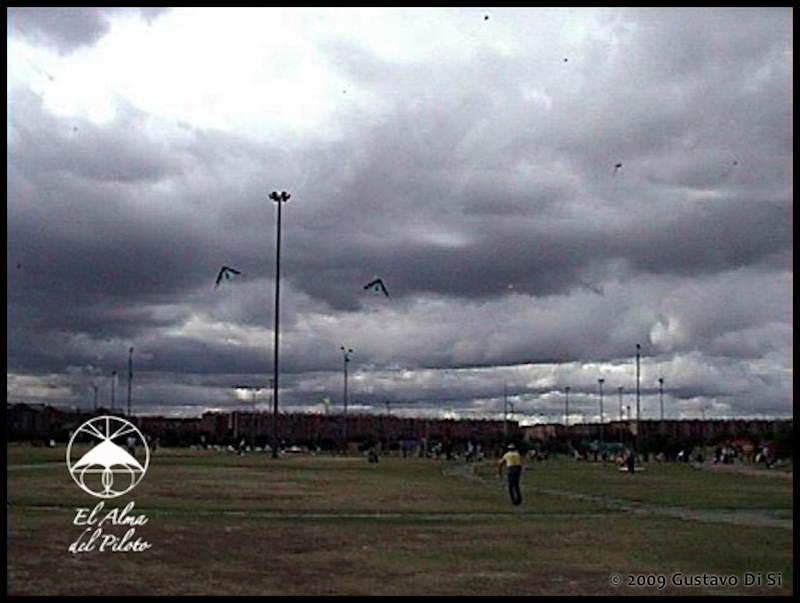 The kites flew on “The ceremonial square”; well-known as “Plaza de los Eventos” that has grandstands of 80,000 spectators. The floor is made by paving stone ground and surrounded by grandstands where the audience is located to watch the show. 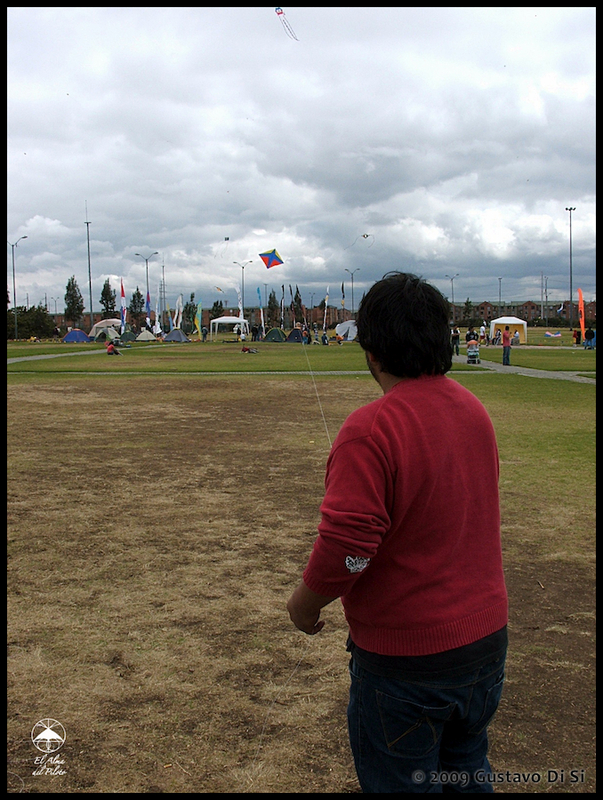 The Bogotá’s citizens are kite’s fans expecting August time to watch kites fly at the Park. In fact around the park you can see thousand kites flying in family. 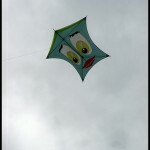 The tradition causes that in August, more kites were flied in the rest of year. Colombian kite mates told me that they fly all year at the Tunal Park, but it seams that the winds of August stimulate the citizens to fly massively. The Atemoc chronogram of activities was very well done, and with great skills they adapted based on wind conditions. 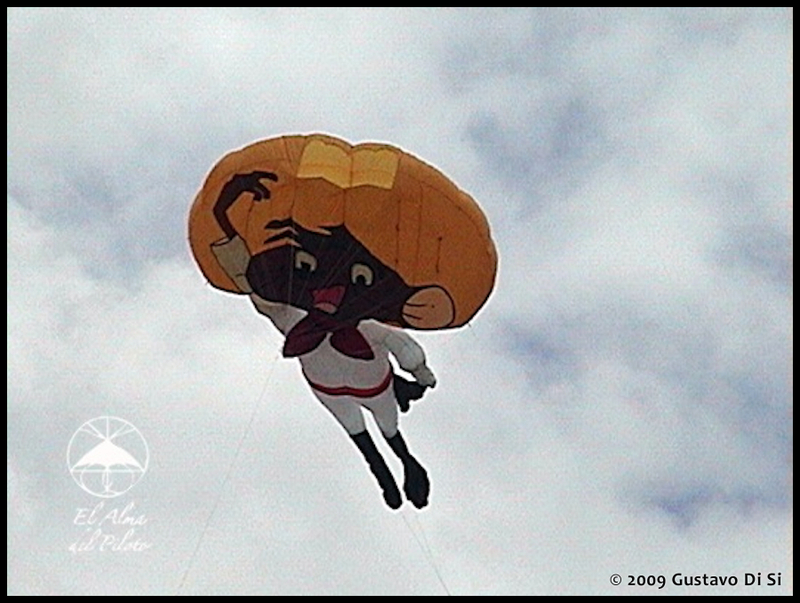 That’s why the audience – more than 60,000 people – would enjoy with the different kite models passing by the Simon Bolivar arena. Ok friends, the wind played hide and seek with us, blew from one side to another, with strong and less force, despite that, thanks to pilot’s blood and effort, lots of kites could be seen in the air. That situation caused that the Festival became more exciting for us and the audience. The wind gave us an exam …be ready for unexpected situation … your mind had to be flexible, your senses had be work at 100% and if the wind plays with you; you had to move up to its play. The kites have to fly always. In this way, you get exited like the audience, you fly with your soul and heart, you transmit your passion and spontaneously, the applause caresses you in order to enjoy the Party. Team iQuad flew its excellent routines with Revolution, the Alto Vuelo Team flew its demonstrations of Freestyle, the Giant Gomberg kites, the flat, 3D kites passed through over people head, the beauty ones of the local clubs, the Chile’s fighters, The Pilot’s Soul and his Revolution Indoor stacked, the Buggies, the traditional kites of Haiti and Siri Lanka, the exotic ones of France, the Colombian pilots which is difficult to me remember all the names… Wow! Wow! Wow! Eventually at the end of the Festival, we passed along shaking flags, a banners giving to the audience a message of union from Countries and towns like gratefulness. 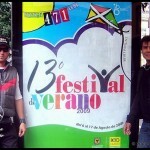 This entry was posted in 2009, Issue 68 (Sep/Oct), KL Archive and tagged festival, verano.